The 2017-2018 cold and flu season has been the worst since 2014/2015, with the majority of flu cases linked to influenza A virus H3N2. During the week of December 13, 2017 to January 6, 2018, the CDC reported seven influenza-associated pediatric deaths, as well as a lab-confirmed hospitalization rate of 22.7 per 100,000 people. Emergency rooms across the country have been hard hit, with the flu virus widespread in nearly every state. The flu season may be peaking, but the CDC predicts 11-13 more weeks of increased flu virus activity. 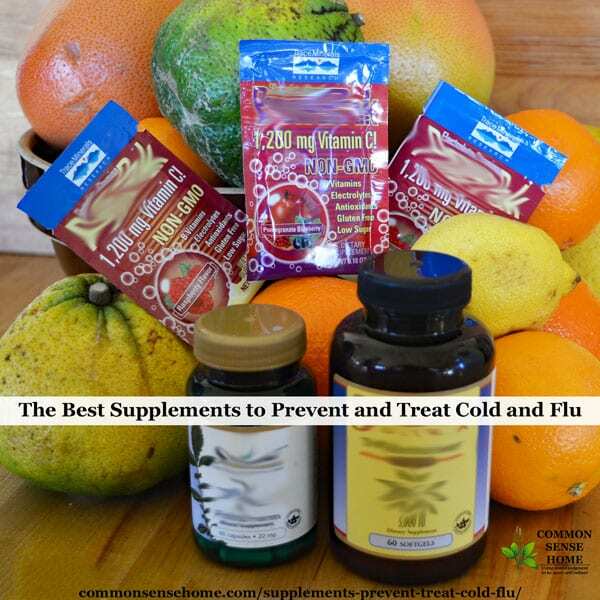 In this post, we'll talk about some of the most effective supplements to prevent and treat cold and flu – vitamin C, vitamin D and zinc. Vitamin C has been demonstrated to have a strong anti-viral effect. Orthomolecular.org states: “In high doses, vitamin C neutralizes free radicals, helps kill viruses, and strengthens the body's immune system. Taking supplemental vitamin C routinely helps prevent viral infections.” It has been shown to be effective against both the swine and bird flu. For best results, take vitamin C in evenly divided doses during the waking hours. Continue taking vitamin C on this schedule until, Pauling says, you have loose stool (just short of diarrhea). After having loosened stool, reduce the vitamin C dosage reduce by about 25 per cent. If you have another loose stool, reduce the vitamin C again, but if the symptoms of the viral infection begin to return, increase the dosage. You will quickly learn how much vitamin C to take; even children can learn to do this. Continue until you are completely well. 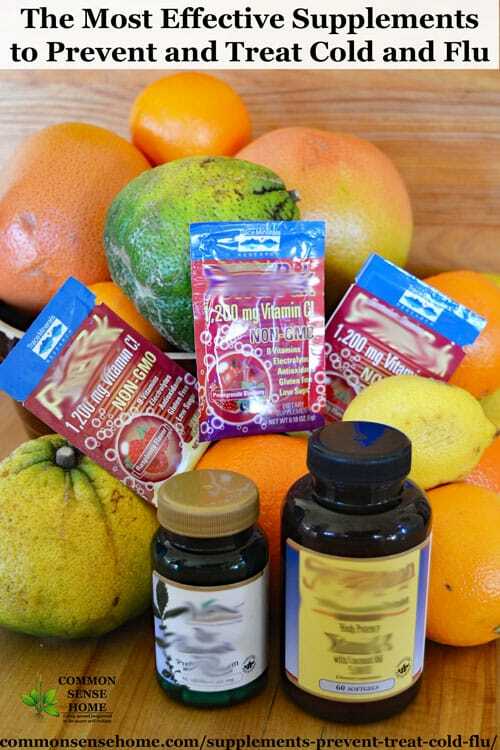 Vitamin C greatly shortens the severity and duration of viral illnesses. For healthy men and women, the Linus Pauling Institute recommends a vitamin C intake of at least 400 mg daily. 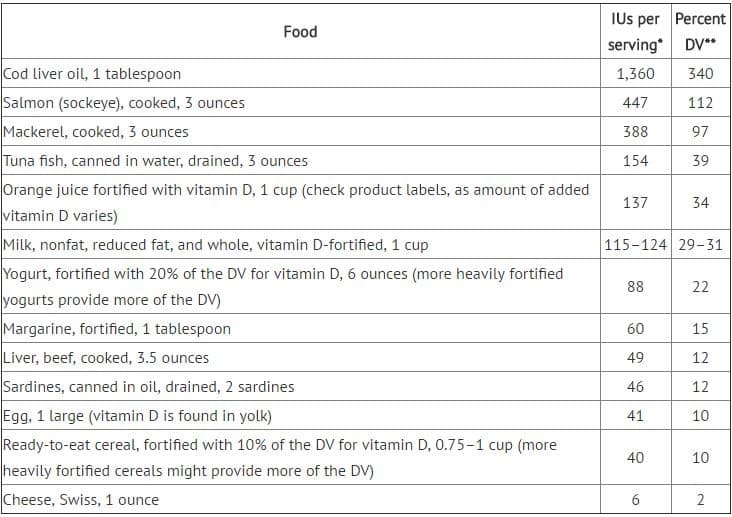 Consuming at least five servings (2½ cups) of fruits and vegetables daily provides about 200 mg of vitamin C. Most multivitamin supplements provide 60 mg of vitamin C. To make sure you meet the Institute’s recommendation, supplemental vitamin C in two separate 250-mg doses taken in the morning and evening is recommended. I enjoy Trace Minerals Power Paks (raspberry flavor) as a vitamin C supplement that also provides an assortment of other needed minerals. 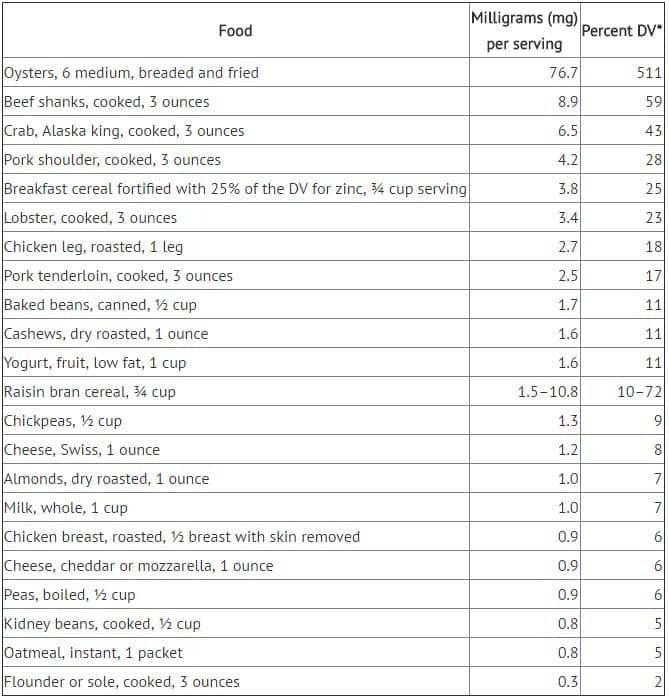 www.health.gov provides the following information on vitamin C content of common foods. One of my personal favorites for winter vitamin C – raw sauerkraut. The German Food Guide states that 3.5 ounces (100 grams) of raw sauerkraut has 15 mg of Vitamin C.
Cholesterol is the basic building block of vitamin D in humans….when ultraviolet light hits the cells of our skin, one form of cholesterol found in our skin cells-called 7-dehydrocholesterol-can be converted into cholecalciferol, a form of vitamin D3. The best source of vitamin D is sun exposure, which of course is often difficult to come by in winter. In lieu of sunlight, food and supplements are your next best option. Click here to get vitamin D with coconut oil for easy absorption. 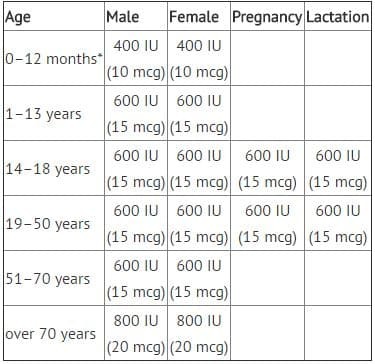 pregnant and lactating women, 100 micrograms (4,000 IU) per day. As you can see, there's a pretty big difference in those numbers, and some individuals with chronically low levels may need additional supplementation. Studies have linked low vitamin D levels to increased risk of cold and flu. Personally, I wouldn't touch the margarine, and am not too keen on the breakfast cereal. Mushrooms didn't make their list, either, and they can be a good source of vitamin D. I'd prefer whole, raw milk, too. Vitamin D is a FAT SOLUBLE VITAMIN – which means your body can't use it without fat. First, zinc interferes with the ability of rhinoviruses, which are responsible for about 80% of all colds, to reproduce. Second, it appears to block their ability to dock on cell membranes and subsequently cause infection. If you eat a variety of real foods, including plenty of vegetables and fruits, fermented foods, bone broths and organ meats, you'll be well on your way to getting what you need to help your body stay healthy. Regular exercise and time in the sun is also very important. If you're going to use supplements, choose a reliable brand. This is wonderful, considering I am fighting strep throat and a horrible cold right now. Oh shoot, Connie! I hope something in one of the posts helps. I used to get strep all the time as a teenager. Thank you! I have to get some ink and print these things out. I ate raw oysters (for the first time ever!) yesterday and the day before, it was like a craving, I REALLY wanted to eat them. I've been sick for the past week and I'm thinking that because of the high zinc content my body just "knew" it needed those oysters. With lemon juice and hot sauce, I actually liked them, although I do believe they are a bit of an acquired taste. I was happy to add another raw food to my repertoire as well. Beth – that's great! I actually like oysters, but it's very hard to find good quality ones around here. I've been buying some smoked ones canned in olive oil through my natural foods buying club. Watch out for those canned in cottonseed oil. Cotton is one of THE most sprayed crops. ‘What are the Best Food Sources of Vitamin D?’ suggests that food is the best source of this vitamin, but it’s not. Vitamin D is produced by our own body under influence of sunlight on our skin. Every day enough direct sunlight (not behind glass!) produces enough vitamin D.
In countries where this is difficult in winter time, we can use extra vitamin D pills, which are inexpencive. This winter we have had 55 days of below zero temperatures. I have not had any significant sunlight exposure in months. I have not gotten sick beyond a short bout of sniffles, because I follow my own advice. A natural immune booster is also a great option if you do not have time to cook such great food each day!